The Battle of the Coral Sea had barely concluded when Task Force 17 under the command of Rear Adm. Frank Jack Fletcher was ordered to return to Pearl Harbor as fast as the crippled Yorktown’s condition would allow. Despite hull damage that caused her to trail an oil slick ten miles long, the carrier was able to reach a sustained speed of twenty knots. The voyage to the naval base would take eighteen days. During that time, the Yorktown’s damage control teams succeeded in patching so cleanly the bomb hole in her flight deck that it would appear never to have been damaged. Meanwhile, her skipper, Capt. Elliott Buckmaster, prepared an action report for Commander in Chief Pacific Fleet Adm. Chester W. Nimitz that included a detailed list of the carrier’s damage. It would be a preliminary estimate of what would repairing the Yorktown would require. Dated May 25 and delivered by plane while the Yorktown was about a hundred miles from Oahu, the report that Nimitz read was sobering. A 551-pound armor-piercing bomb had plunged through the flight deck 15 feet inboard of her island and penetrated fifty feet into the ship before exploding above the forward engine room. 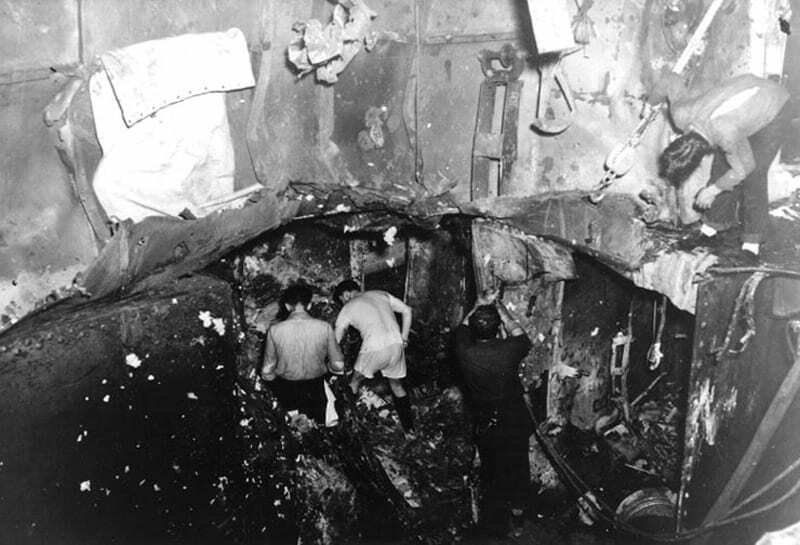 Six compartments were destroyed, as were the lighting systems on three decks and across 24 frames. The gears controlling the No. 2 elevator were damaged. She had lost her radar and refrigeration system. 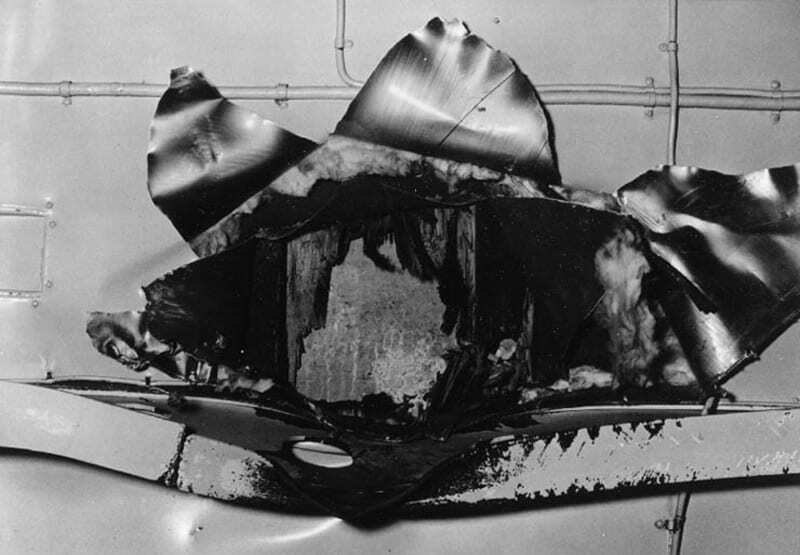 Near misses by eight bombs had opened seams in her hull from frames 100 to 130 and ruptured the fuel-oil compartments. Rear Adm. Aubrey Fitch, aboard the damaged carrier, estimated that repairing the Yorktown would take ninety days. Nimitz didn’t have the luxury of waiting ninety days. Thanks to excellent codebreaking work by Cmdr. Joseph Rochefort and his intelligence team, Nimitz knew that the Imperial Japanese Navy planned an amphibious assault on the strategic island of Midway on June 4. Leading the attack would be its Kidō Butai, the carrier strike force that had attacked Pearl Harbor. Despite being outnumbered in carriers, planes, and other ships, Nimitz was determined not to let Midway go the way of Wake Island – at least not without a fight. But, when he sent his task force into harm’s way, he wanted it to be as powerful as possible. That meant reinforcing his available carriers Enterprise and Hornet with the Yorktown. To determine if that was possible, Nimitz ordered Pearl Harbor’s yard superintendent Capt. Claude Gillette and a team of specialists to fly to the Yorktown and make a preliminary study. They radioed back that they thought it was possible to get the carrier ready in time, but doing so would take a supreme effort. The next morning, after Nimitz had cut orders voiding the safety rule of spending a day purging her tanks of stored aviation fuel, the Yorktown eased into Drydock Number One. The caissons closed behind her, and pumps began draining out the water. With at least a foot of water still remaining in the drydock, men in waders gathered to inspect the hull. One of them was Nimitz. Within minutes the first of 1,400 repairmen, who would work around the clock, swarmed into the drydock to begin repairing the Yorktown. To satisfy the enormous power needs of the repair crews the Navy contacted Leslie Hicks, president of the Hawaiian Electric Company, who arranged a series of rolling blackouts in Honolulu. Only the most urgent repairs were made. Instead of individually fixing the hull’s ruptured seams, an enormous steel plate was welded over the damaged section. To satisfy the enormous power needs of the repair crews the Navy contacted Leslie Hicks, president of the Hawaiian Electric Company, who arranged a series of rolling blackouts in Honolulu. Only the most urgent repairs were made. Instead of individually fixing the hull’s ruptured seams, an enormous steel plate was welded over the damaged section. At 11:00 a.m. on May 28, Drydock Number One was flooded and the Yorktown was towed into the harbor with workmen still busy aboard. On the morning of May 30, more patched than repaired but fit enough to fight, Yorktown steamed out of Pearl Harbor. With an air group composed of aircraft from three carriers, Yorktown sped to a rendezvous with the Enterprise and Hornet at “Point Luck” to participate in one of the most decisive battles in naval history. My father, Barney A. Sexton, was on board the Yorktown at Coral Sea and Midway. He was wounded at Coral Sea, but was unable to leave the ship during the repairs at Pearl. Does anyone have ANY information, anything at all, about my father during this time? He passed away in 1980, after a long illness. I was only 16 and have very little information. Any help at all would be greatly appreciated.